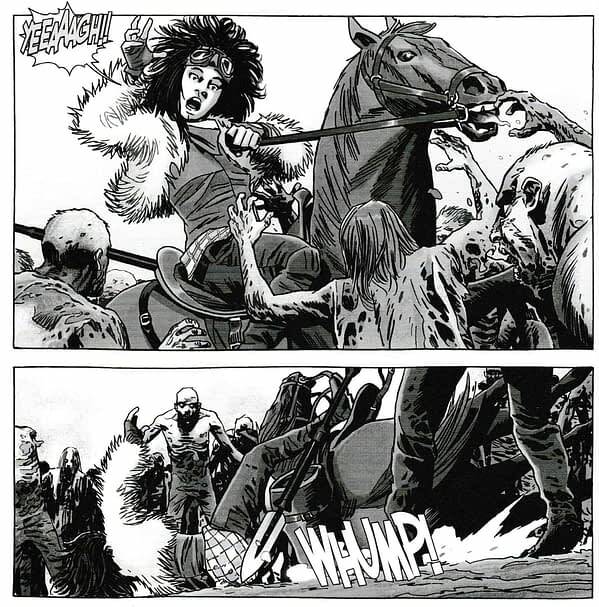 Today sees the publication of The Walking Dead #181 by Robert Kirkman, Charlie Adlard, Stefano Gaudland, and Cliff Rathburn. 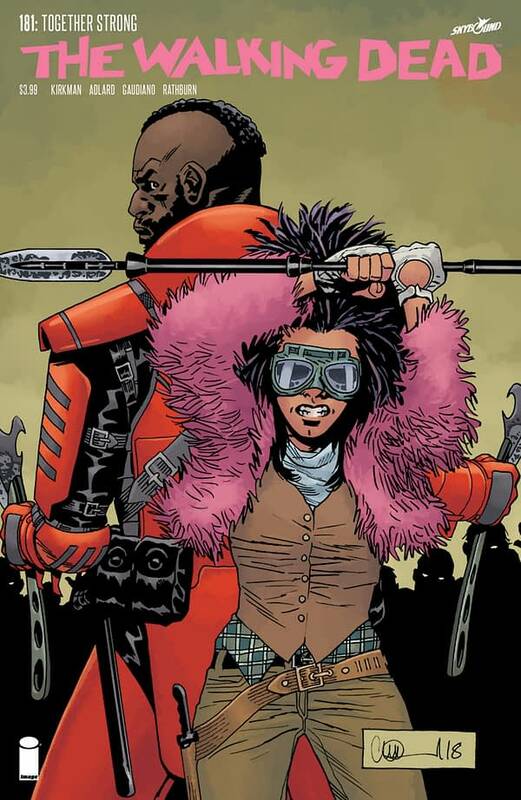 It does not have the first appearance of Wolverine, but it is the first chapter of the new storyline Together Strong, and it does have the Governor of the Commonwealth come to Rick’s place — and then start to head back to her own community. 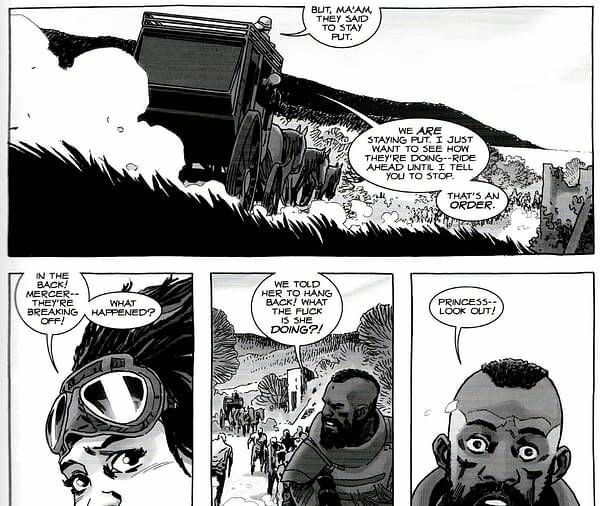 Rick was initially wary of her title, given his experience with another community leader also known as the Governor. 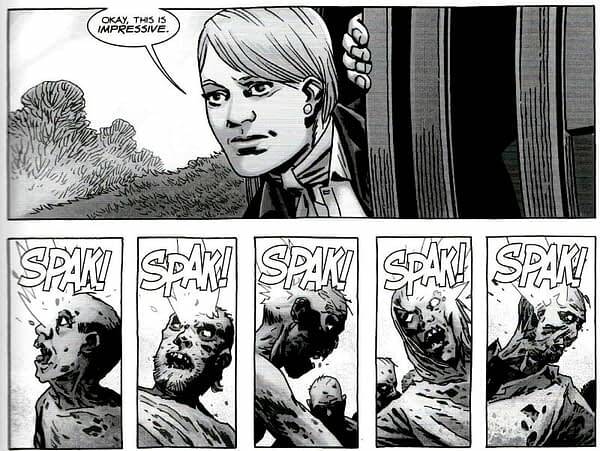 And in doing so, takes advantage of a situation regarding a horde of zombies (remember them?) and revealing her own callous look on the world that may not be dissimilar from her namesake. …she does her best to draw the horde back. With the Princess taking a tumble in front of the ravenous undead.